I love the simplicity of Portuguese desserts. 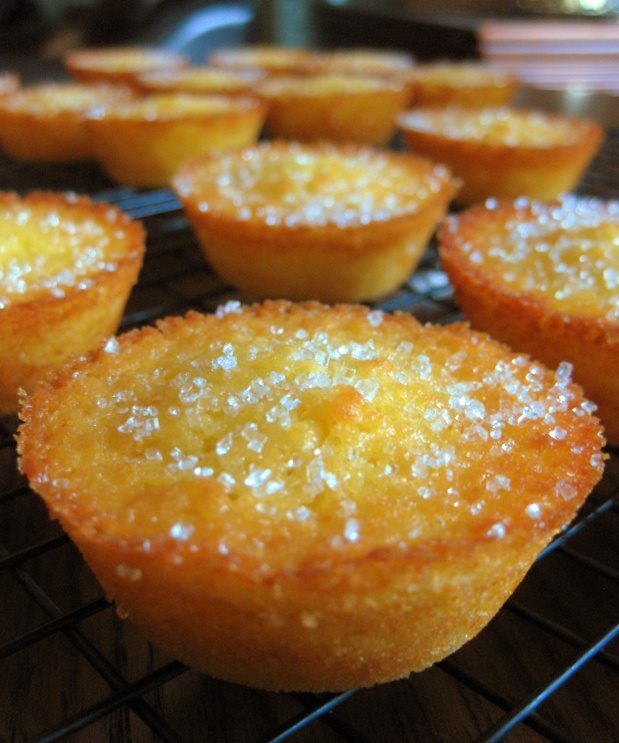 These little cakes have a lovely orange flavour and are so moist and delicate. They are perfect for an afternoon tea, wedding or baby shower. These little cakes are easy to make and be sure to make lots, they won't last long. Enjoy! 1. Preheat oven to 350F. Grease 2 muffin pans. 2. In a bowl combine flour, baking powder, salt and orange zest. 3. In a separate bowl combine eggs and sugar and beat with an electric mixer for 3 minutes or until the eggs are pale yellow and fall in ribbons. Stir in orange juice, butter and vanilla until well combined. 4. Stir in the dry ingredients until just combined. The mixture will froth a little. Pour the batter into the muffin cups filling them 3/4 of the way up. 5. Bake for 13-14 minutes or until the edges start to brown. 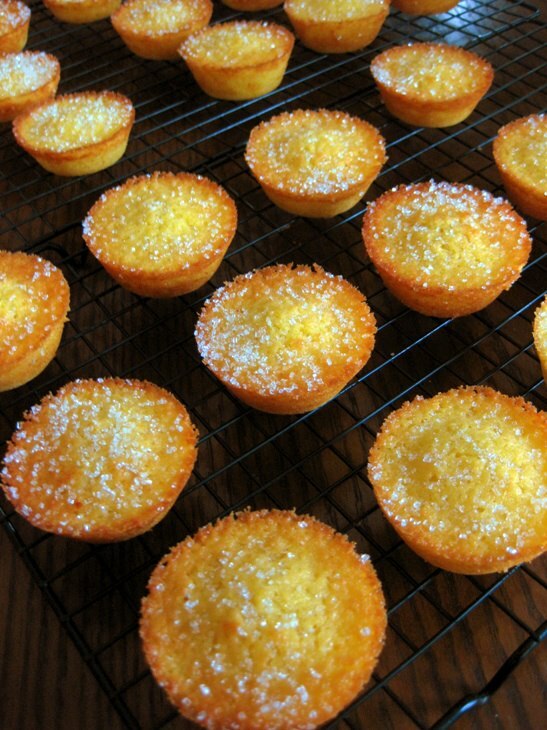 Sprinkle the top of each cake with some sanding sugar and return pans to the oven. Turn the oven off and leave them in there for 2 minutes. 6. Allow the pans to cool 5 minutes then run a knife around the edge of each cake and gently unmold. Let the cakes cool completely. Paula, this looks like an absolutely awesome recipe! I love orange flavoured cake and what I really love about this recipe is that it doesn't have a gazillion ingredients in it. I'm def. going to make these for my next Brunch gathering. Thanks for sharing. they look so amazing, remind me of the coconut ones, but orange instead, definitely going to try, thank you! Those wonderfull cakes remind me of my childhood, baking with my mum. I am going to bake them for sure. Tks for sharing. 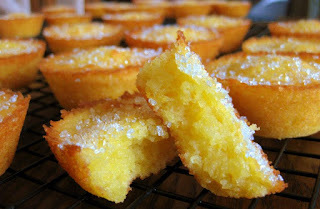 I just made these, and they were moist and delicious! I used a paddle in the mixer and Kerrygold European butter. They browned nicely in gold non-stick muffin pans (12 muffins), but didn't work well in silicon muffin molds or paper. Definitely a keeper if the gold pan is used.